The pinnacle of Paradise Valley Real Estate. 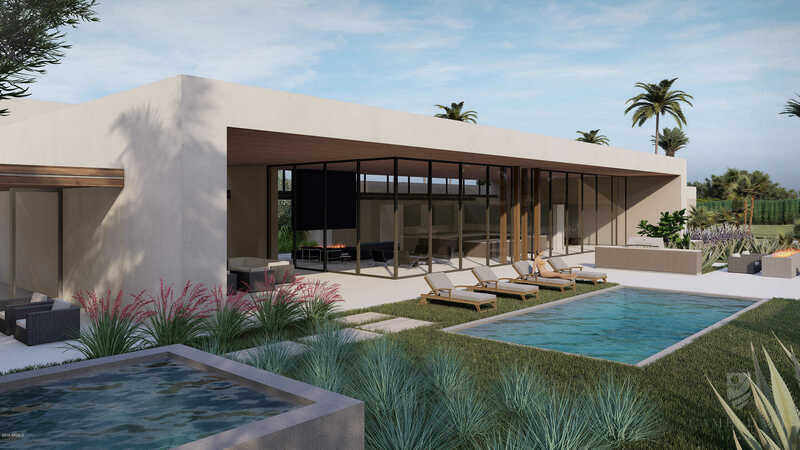 Located in the heart of Paradise Valley, Arizona this unique development features 11 high-end, contemporary estates that are independently gated. From the second you drive down the street you are transformed. Well-manicured lush landscaping and palm tree lined streets tie the estates together while mature green hedges provide the privacy you desire. Inspired by iconic architects from around the world they will be built by Bedbrock Developers, designed Drewett Works and finished by Ownby Design. Every estate begins with a well laid out 6,000+ SF floor plan that carries its own unique style and design features to honor the property’s independence. The fit and finishes are nothing this community has seen. Directions: South on Invergordon Rd to Luke Ave, Turn East on Luke Ave to Cameldale Estates. Approximate size: 50563.00 sq. ft.